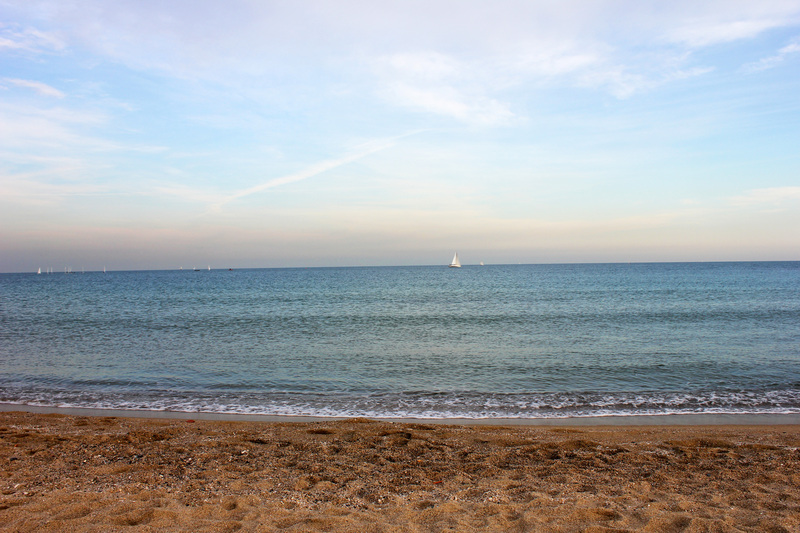 Barcelona’s seven beaches comprise over 4.5 kilometers of lovely Catalan coastline. 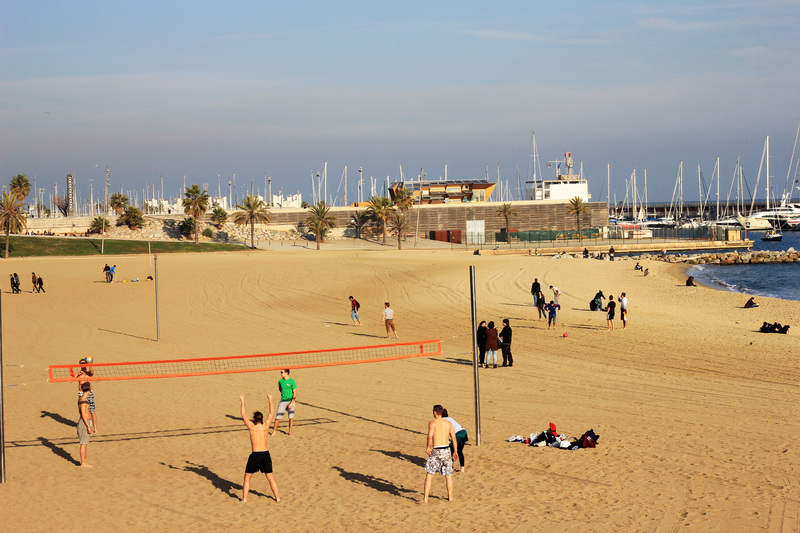 Nearby Port Vell, Sant Sebastià and Barceloneta beaches are the oldest, largest, and most popular. These beaches are absolute must-hit spots to get a glimpse of some truly awesome local culture. Even in winter, people are always spending time at the beach. 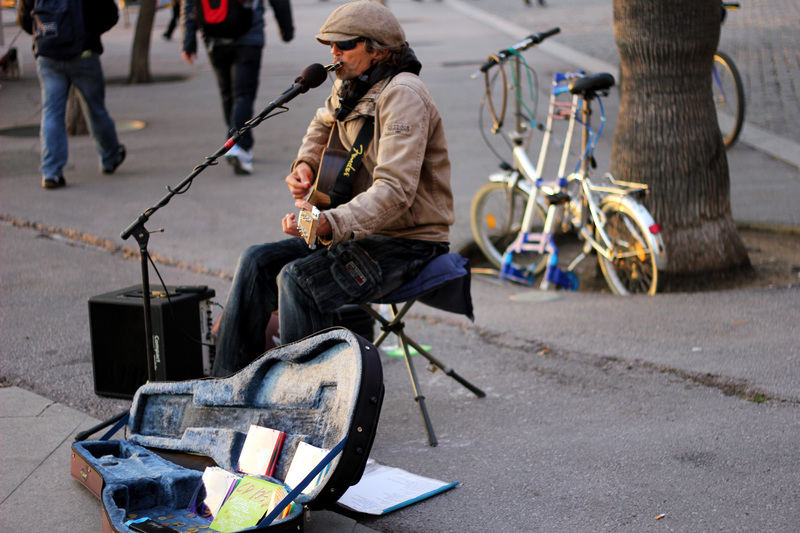 Barcelona’s warm weather makes for an excellent beach town. 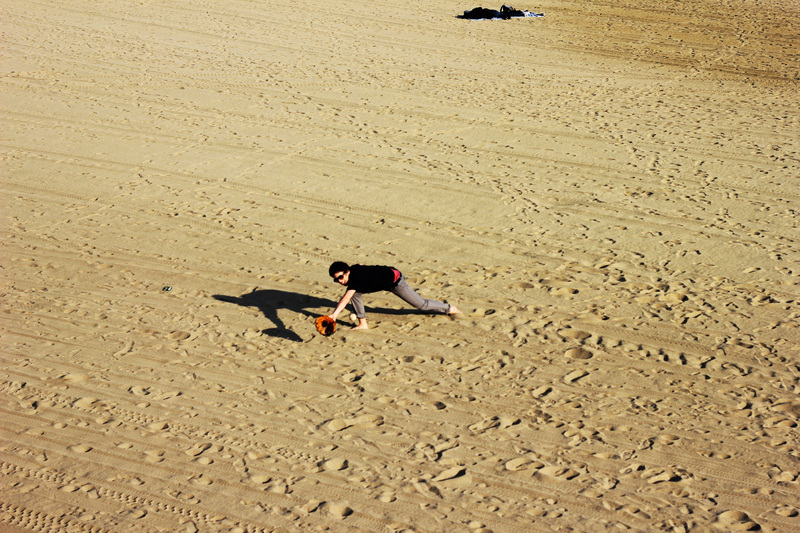 Going for a stroll on the beach will allow you to see plenty of people engaging in typical beach activities: playing volleyball, swimming, tossing a baseball, flying a kite, and drinking beer, among other things. But these things can be seen at many beaches. 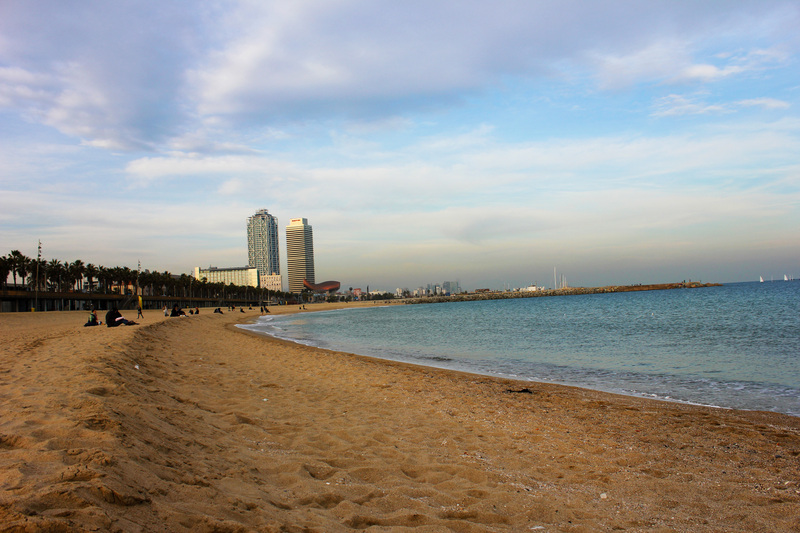 What’s so special about Barcelona’s beaches? 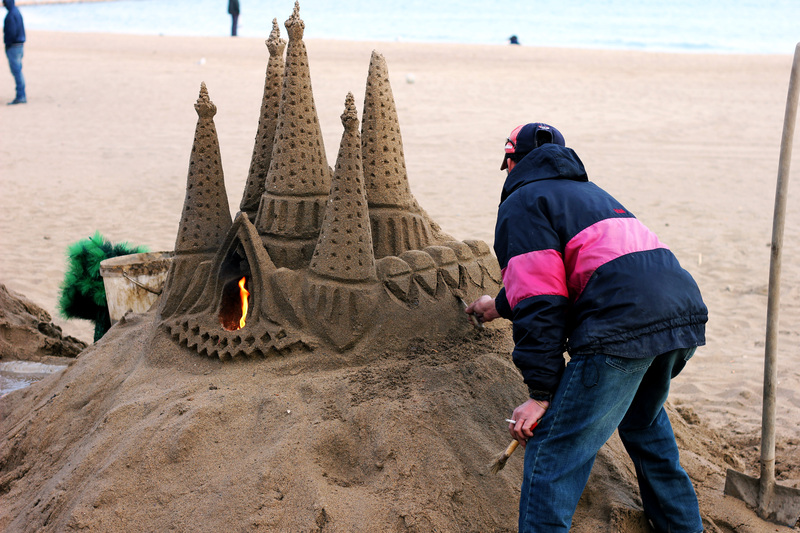 Well, how about epic sand castle wineries, rockin’ folk musicians, and daring wintertime skinny dippers? Awesome enough for you? Sure as hell should be, and there’s more where that came from. 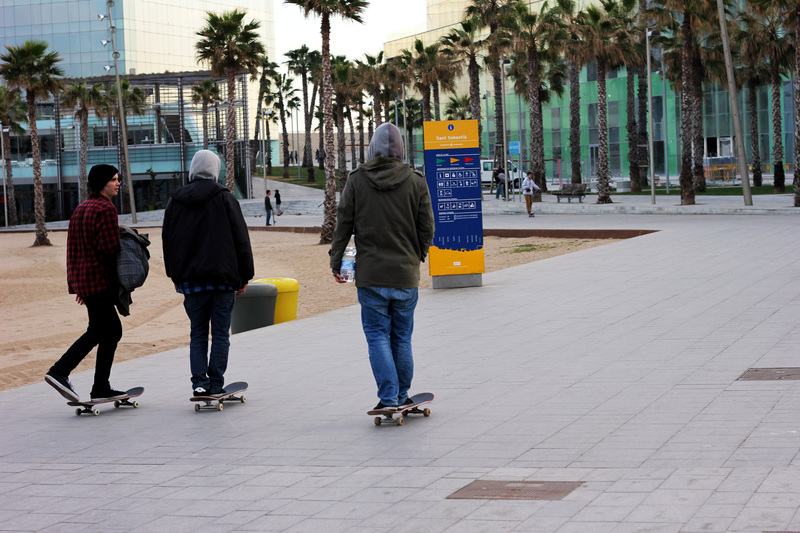 Barcelona’s skateboard culture is also very much apparent at the beaches. Many longboarders, skaters, bikers and rollerbladers of all ages cruise along the beachside promenade with their buddies, headphones-in-ear. Sant Sebastià especially is a hot skate spot. Young skateboarders pull off their best tricks here, finding creative ways to utilize the stairs and rails. Prepare to be impressed. 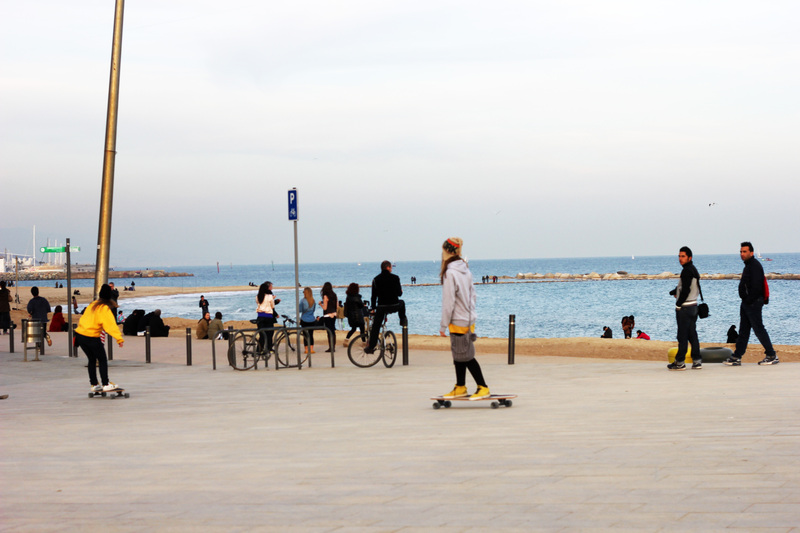 This entry was posted in Barcelona, Spain and tagged barcelona, beach, catalonia, catalunya, europe, skateboard, spain, travel by Babak Haghighi. Bookmark the permalink. hink this wsould be a beautiful vacation spot! I think this would be a beautiful spot to vacation! 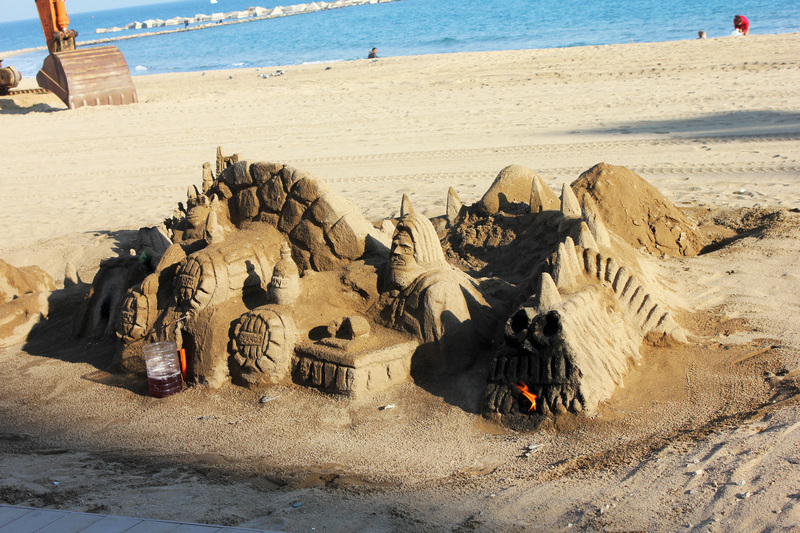 I LOVED the artwork in the sand when I was in Barcelona! It is stunning how intricate it is. You have a wonderful blog with great pictures!! I would love to visit Spain someday!